Planning approval has been granted for a major mixed-use development in the heart of York City Centre. The redevelopment of the Hudson House site in York was unanimously approved by City of York Council’s Planning Committee last night. 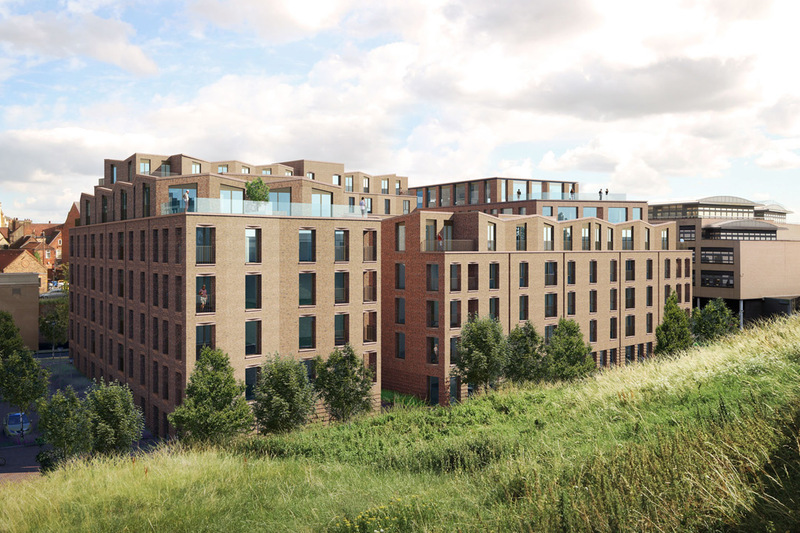 Owners of the site, Palace Capital LTD first launched the plans to deliver 127 new homes, 34,000 sq ft of Grade A office space and other commercial space earlier this year, to a very positive response. The site is in a very sensitive location: only a few metres inside York’s historic City Walls. Leading architect, Fuse Studios produce the masterplan and the design development required a positive working relationship with a number of local stakeholders, including officers within the City Council. The scheme features four new buildings, arranged around a central courtyard space which will provide private amenity space for the development’s residents. The proposals also include a new pedestrian route through the site, which will create a new connection between the main rail station and residents and businesses of the Micklegate neighbourhood. Fuse worked with landscape architects, Re-form, to design a public realm concept which knits the development into its surroundings and provides a far more attractive setting for the adjacent City Wall. The site represented an interesting challenge to the Fuse team; as it lies within an area synonymous with large, railway related buildings and yet on the West is bounded by smaller, compact buildings which are more typical of York’s historic city core. The resultant scheme sees four brick clad buildings that respond to their context through massing, materiality and roofscape. Members of the Council’s planning committee commented favourably about the “exciting and innovative” design approach.